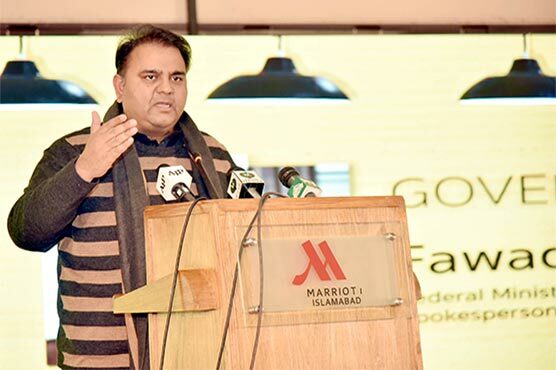 Information Minister stresses reliance on technology for all businesses is "inevitable"
Information Minister Fawad Chaudhary has emphasized that all modern day businesses need to rely on technology in one form or another and this need has become inevitable. He was addressing an audience at a function related to Digital Media in Islamabad where he also invited Facebook to open its office in Pakistan and interact with businesses to increase their advertisement business. Pakistan’s IT exports crossed $1 billion last year and it just goes to show that more and more startups are emerging in this very field with the sole purpose of creating innovative products. Conventional businesses which used to rely on print media and television for advertisements are now adopting Facebook, Twitter and other social media platforms to increase their brand awareness and conversions. Fawad informed the audience that there was a crisis in the media industry as they are lagging behind in the use of modern technology. He urged media houses to research and use the latest technology tools to improve and scale their businesses even further. He also announced that the government has plans of transforming the Associated Press of Pakistan into Digital Service of Pakistan. Even though the government has set aside Rs850 million as the operating budget of APP but majority staff doesn’t even know how to use email. What are your thoughts on the digitization of conventional businesses? How hard is this process in your opinion?